An update to the Drive, the Drive 2 continues to offer plush comfort in a light weight ride. VibraKill in the heel takes the shock out of hard landings while a lightweight TPU shank keeps the shoe stable. The Michelin performance outsole continues to offer court hugging excellence while impressing with its durability. We found this shoe to be 1/2 size bigger than standard. Please order 1/2 size smaller than your normal shoe size when ordering. Fit : We found this shoe to run 1/2 size large. Please order 1/2 size smaller than you would normally. Arch support is low. No break-in required. Upper : Synthetics and mesh for lightweight comfort and ventilation. Inlay : Ortholite comfort foam insole for support and comfort. Midsole : Vibrakill shock-absorber in the heel for maximum comfort. 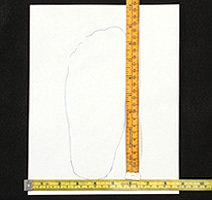 Outsole : Michelin OCS (Optimized Cell System) provides court hugging traction. The seamless circular micro-cells are directly inspired by rally racing equipment and offer 20% more contact surface for improved traction. Flex grooves in the forefoot ensure proper foot flex. 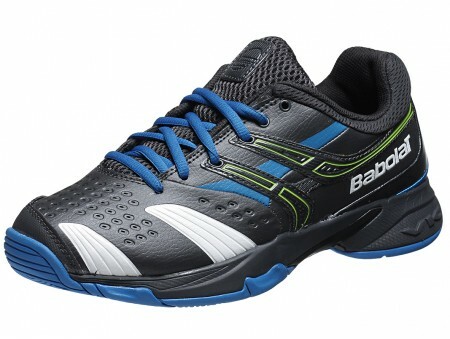 The Babolat Drive 2 is now available online in India.